As a parent, it’s important to understand how your presence in your child’s life has a lasting impact on their early and ongoing development and behaviour. Unfortunately, the role of the father is still consistently under-represented in various health and psychological services and interventions, especially those focusing on child mental health and wellbeing. This is despite a growing body of research that these services and interventions are most effective and beneficial when both parents are engaged and working together to support their child. Fathers who are active in their children’s life provide much needed emotional security, as well as contribute valuably to their social development, self-confidence, and overall emotional wellness. 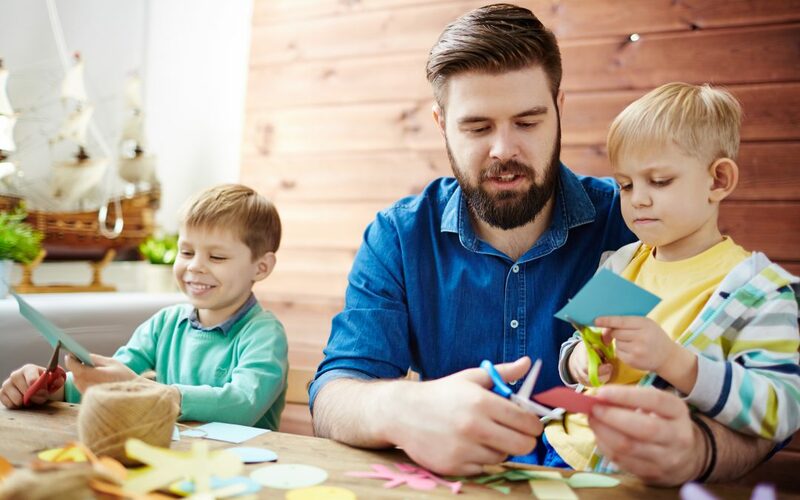 A recent report from the U.S. Department of Health and Human Services also associated father’s who played an active role in their children’s wellbeing, with improved math and verbal skills in their children. Research has also indicated that father interventions play a crucial role in positive outcomes for children with autism spectrum disorders. Attending health care visits, scans and other medical appointments. Reading books and resources together, understanding your baby’s development and your partner’s feelings as they progress through their pregnancy. Taking an active interest in preparing your home and life for the arrival of the baby. Proactively responding to the baby’s cries; holding, soothing the baby and developing a physical connection. Addressing basic care needs such as feeding, changing, bathing and dressing the baby. Studies have shown that fathers support language development as they tend to use new words whereas mothers may stick more to words their children already know. Fathers also have a tendency to encourage more exploratory play which can help build children’s independence and confidence. Support children with their creative activities and take a personal interest in their day, get to know the key people in their life outside the family home (favourite teachers, friends). Schedule specific father time; find out what activities your children love and ways to be a part of it or introduce them to new hobbies and activities you can do together. Celebrate their successes; a good grade report, a triumph in sport or a commendation for good behaviour at school. Make sure to take the time to be present, acknowledge the success and give your child vocal praise. Be present for the good and the bad; agree as parents how to handle bad behaviour, how to approach it, and stick to it. Take the time to be a part of this process and discussion. Provide emotional support; even simple things like attending doctors and dentist appointments, which can be scary for children, shows a deep level of care your child will respond well to. Continue to show an interest in their life, studies and social habits but without being intrusive or controlling. Allow your child space to approach you with important matters; making it clear they can talk to you about anything without judgement, including issues you may find difficult as a parent. Continue to show a united front with your partner. Even if you may have separated, it is important for your children to know that you are still united as parents for them. Maintain a hobby or activity that you can do together, but don’t force it on your child as they start to develop their own meaning to independence and discover individual interests. Although fathers still suffer a huge under-representation in health care and research, this is changing and their increasing resources available for fathers who want to learn more about becoming proactive and positive influences in their children’s lives. A great place for free, father-inclusive parenting resources is ParentsWorks, a program that seeks to raise the profile of engagement and participation for fathers in Australia.